PC gamers looking for a new premium portable should look no further this Black Friday as Amazon has just slashed a massive £499 off the price of the stunning Razer Blade Pro V2 gaming laptop. This system, apart from featuring Razer's absolutely gorgeous thin and luxe design aesthetic, comes stacked with a large 17.3-inch screen, fast Intel Core i7-7700HQ Quad-Core CPU, powerful Nvidia GeForce GTX 1060 GPU, 16GB of DDR4 RAM, and brace of capacious storage drives. The system also comes with Razer's advanced Chroma RGB lighting system, a vast array of ports including a Thunderbolt 3 connection, and fresh copy of Windows 10 pre-installed. 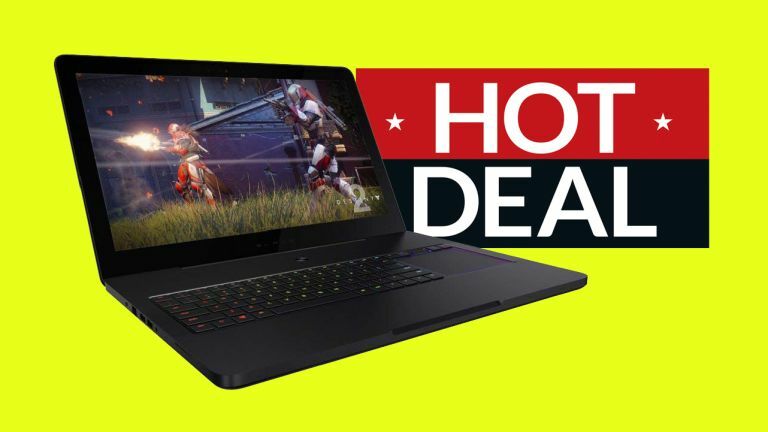 Gamers looking for a premium portable system during Black Friday should absolutely get up close and personal with this deal from Amazon, as the retailer is offering the stunning Razer Blade Pro V2 for only £1,699, which is a saving of £499 over its normal price. If you're a PC gamer and are also currently in the market for some peripheral upgrades, be sure to also check out T3's awesome best gaming mouse, best gaming keyboard, best gaming chair, best gaming monitor, and best gaming headset guides for a run down of all the best products and prices currently available.